Searching for a powerful, yet reasonably priced air purifier for a mid-sized space? 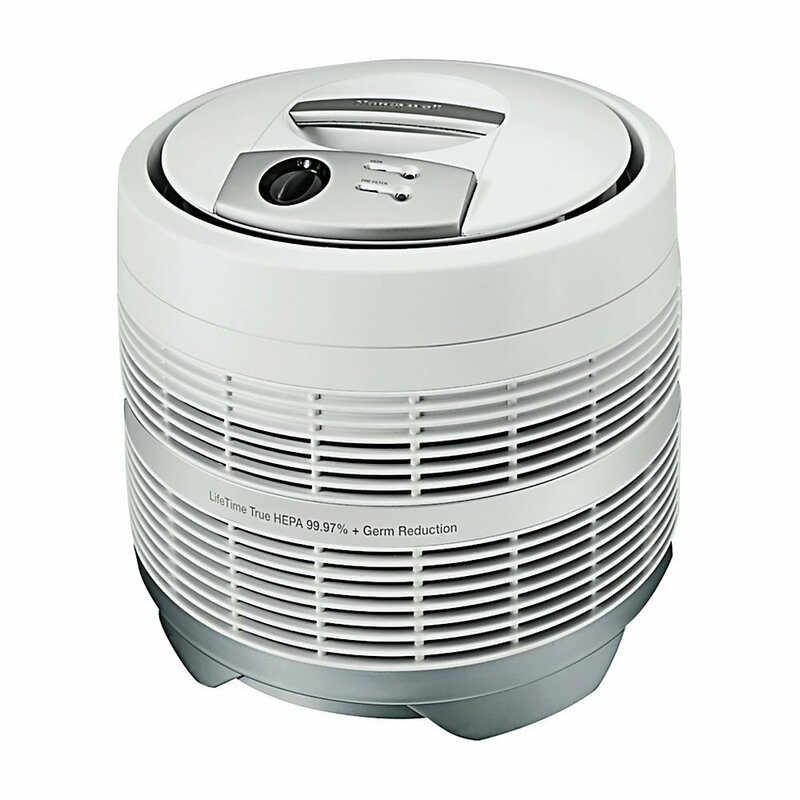 You need to check out the Honeywell 50250-S HEPA Round Air Purifier – one of the best air cleaners on the market for spaces up to 390 square feet. For the best price on the Honeywell 50250-S, click here to check out the official Amazon product page, or keep on scrolling to get to our Honeywell 50250-S review. 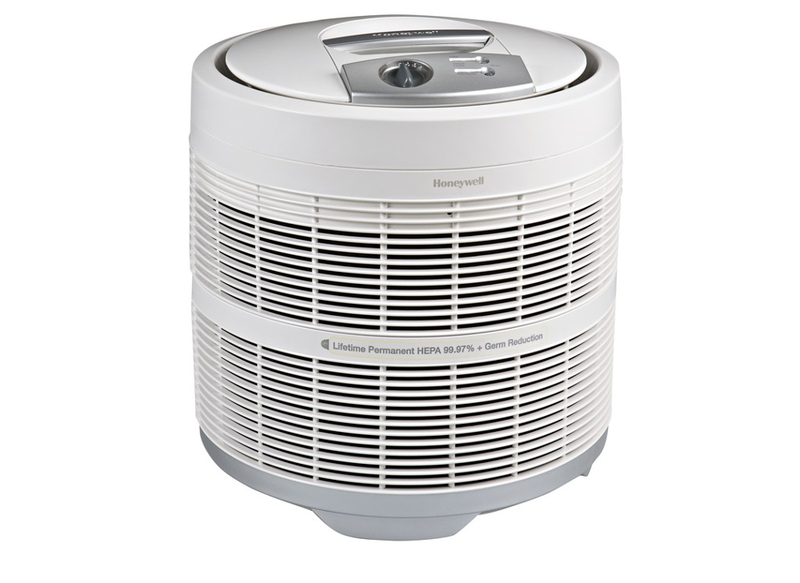 The Honeywell 50250-S 99.97% Pure HEPA Round Air Purifier features a size that is compact enough for use in small room and an efficiency that is suitable for a larger room of up to 390 square feet in size. It is arguably the most proficient model manufactured by Honeywell to date. The Honeywell 50250-S boasts a True HEPA filter that is said to filter out 99.97% of airborne pollutants. The common airborne mold spores, pet dander, dust and pollen can be filtered from as small as 0.3 microns in size. This air purification is all done without the aid of any chemicals or other treatments. The 50250-S air purifier is versatile enough to accommodate all practical uses with its 3 available speeds. The 360 degree airflow ensures that virtually all of the air in the vicinity of the machine will pass through the HEPA filter. Also, to ensure optimal use of the machine at all times, the smart electronic filter change indicator will notify you the moment it is time for a replacement. Overall, the reviews left by users of the Honeywell 50250-S 99.97% Pure HEPA Round Air Purifier were very favorable towards the products and full of recommendations to other users to purchase. A common thought shared by many reviewers was that in a market where high quality air purifiers can get very expensive very quickly, the 50250-S was of a very high quality for its price. Most consumers of air purifying products are individuals who suffer from allergies and that was very consistent with the reviewers. Many said that a dramatic reduction in their allergic reactions to household pets and nearby smokers was noticed when using the Honeywell 50250-S and even when switching from another air purifier. The 360 degree technology and HEPA filter are given credit as the catalysts for the efficiency of the machine. Some users shared some cons on the machine as well. One user was disappointed in the noise that the machine made and stated it was louder than some machines he had used in the past. Other users stated that while the carbon pre-filters are easy to find in retail stores, the HEPA filters are a little more difficult and may need to do a little shopping online to find them. The overall consensus here at Respectable Reviews is that the Honeywell 50250-S 99.97% Pure HEPA Round Air Purifier is a high quality machine that provides a great bang for the buck. 80% of reviewers gave the product a rating of no less than 4 out of 5 stars. We share their sentiment and recommend this product to any consumer in the air purifier market.